Joey gave us a tile where Fracas (Zentangle original) was drawn. 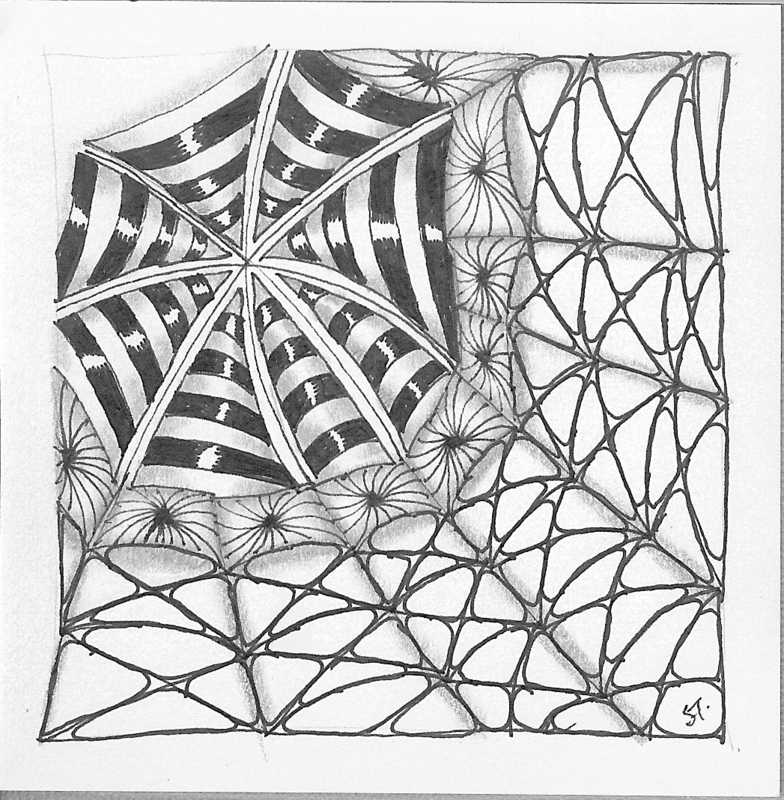 Scena and Nzeppel - both Zentangle originals. We do not celebrate Halloween and it turned out accidentally to look like a spider's web. 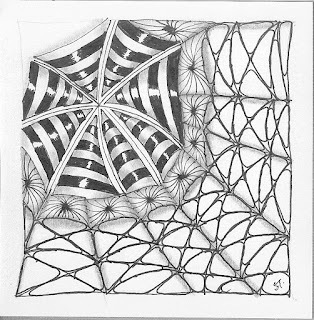 I like these "spiderweb" very much with beautiful drawn tangles, well done!